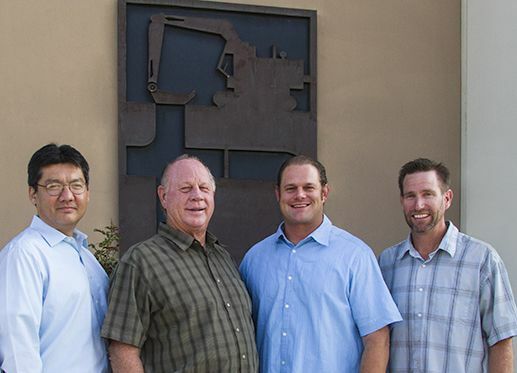 Terry learned his trade working with his father and uncle, owners of Cameron Brothers Construction Company. After 14 years of solid experience in all phases of underground construction he founded TC Construction in 1977, where he has spent the last 36 years building the company. His experience in all phases of underground construction, including municipal, commercial, residential and industrial projects has directed the consistent growth and reputation of TC Construction. Austin is continuing the Cameron legacy in construction. After attending the University of California, Santa Barbara, where he majored in Business Administration, he joined TC Construction full time. Now with 20 years of experience in all phases of underground construction, mechanical work, treatment plants, lift stations and demolition, Austin focuses on developing the company in the areas of estimating and project management. Jack has 20 years of construction accounting experience. He is a graduate of Sawyer/Kaplan University with a two-year accounting degree and has been with TC Construction since 2004. He was a Computer Science major at San Diego State University and is a past president of the Construction Financial Management Association (CFMA), San Diego Chapter. Jeep has worked with TC Construction for over 15 years. Having more than 10 years of experience as an Equipment Superintendent, Jeep also has extensive background in heavy equipment maintenance and repair, metal fabrication, machining and specialized painting. Jeep attended San Diego State University where he majored in Civil Engineering and played baseball for the Aztecs.